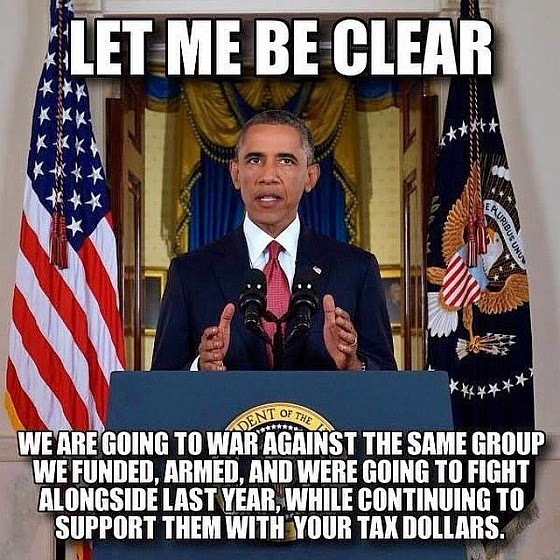 And let us not forget, while Obama and Congress funded and armed ISIS....the next calculated move is to fund and allow the nuclear arming of Iran and her proxies to the tune of $50 billion or more. And no, by the way, and unlike many today, I do not trust the ex KGB officer, Vladimir Putin as far as I can throw him or the entire grand deception set before us. -W.E.